Often when I’m stressed out, or in an anxious state, or life isn’t working out as I want it to, I start questioning myself. And the questions I tax myself with aren’t helpful, they only exasperate or perpetuate my already frustrated feelings. These aren’t helpful questions, they are blocking questions. They stop us in our tracks, immobilising us, and even punishing us. They leave us feeling bad, and stuck in a cycle of frustration that can lead to further negative emotions like anger, guilt and shame. They ask questions that give no solution to the problem. These questions would leave me sitting in victim mode feeling as though there was nothing I could do to help myself. What I learnt was that if I changed the questions I was asking myself, not only would I uncover the root of the problem causing me to feel stressed, anxious, or stuck in my situation, but I would also find solutions to help me feel like I could move forward again. When we are blocked and trying to push in one direction, we need to stop and consider if what we are doing is helpful at that time and evaluate what it is really going on. "Successful people ask better question, and as a result get better answers." – Tony Robbins. A friend of mine recently experienced writers block. They expressed to me how frustrated they were about not being able to write, and went on to ask themselves if writing was really for them. They questioned their writing talent, wondered if they would ever write again, and asked if I thought they should give up on the entire thing. They then went on to validate these questions by going over rejection of previous work, and all the failures they had experienced so far in their writing journey. For them, personally, this was spiraling down into a very dark place. 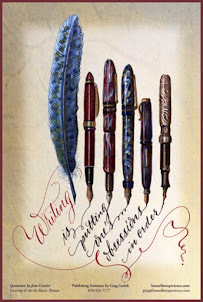 Knowing my friend, and knowing some of the other, non-writing, issues going on in their life, I asked them if how they were feeling had anything to do to with their writing. If maybe other issues, like having to start caring for an elderly, sick parent, which then reminded them of the loss of their other parent, might have more to do with it, topped with frustrations at attempts to get fit being unsuccessful. I told them to change the questions they were asking themselves about what was going on, and to think about what they could do to ease the pressure on themselves in their current situation; how maybe they were expecting too much from themselves at this time, and to ask themselves 'helpful' questions, rather than destructive ones. - What am I feeling right now? - How can I approach this differently? - What is the lesson here? - What small steps can I take today to feel better? Once I had introduced the idea of changing the question to my friend, they sounded relieved. They were then inspired and motivated to start moving forward again. They could see a way out of their present stuck, depressed mindset. By changing the questions they were able to free themselves from a perpetual negative internal dialogue. I threw them a lifeline – but one they already had within themselves. Changing the question can give us back our power, our strength, our desire to keep pushing forward. It can open up a whole world of possibilities. It helps us step out of victim mode and create a constructive plan, or idea, about how we can move forward. It enables us to stop scolding ourselves and telling ourselves we are doing something wrong. It takes the pressure off and reduces the expectation that there is a need to change ourselves. By changing the questions we ask ourselves, choices become visible that we couldn’t previously see, and in turn a sense of power that we can actively do something, allowing a fresh perspective on the situation. This post was originally inspired by a blog post written by Mastin Kipp, over at the Daily Love early this year, called ‘How to overcome the 'what’s wrong with me' thoughts.’ Check it out for a more in depth view.